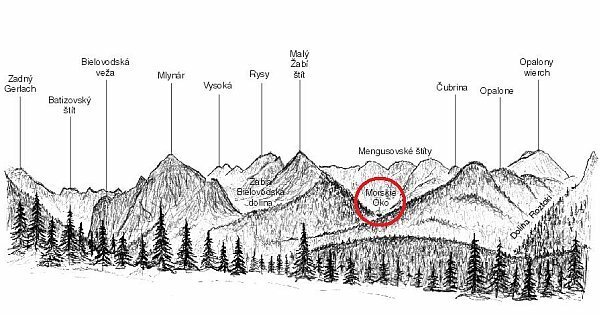 Belianske Tatras (Slovak: Belianske Tatry) is a mountain range in the Eastern Tatras in North Central Slovakia. Eastern Tatras are part of the Tatra Mountains, which are part of the Inner Western Carpathians. The highest point is Havran at 2,151.5 m (7,059 ft). Like most of the area, the peak is not accessible for tourists to protect the rare animals and plants. The first inhabitants were shepherds in the 14th century. 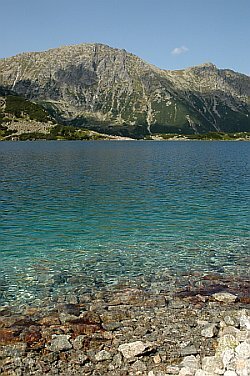 Today, the whole area is a national nature reserve covering 54.08 km² (20.9 mi²), which is part of Tatra National Park. Many endemic, rare and endangered species live or grow here. The northern parts of the Belianske Tatras are home to the largest population of the Tatra chamois, which is endemic to the Tatras. The typical flower of the mountains is Edelweiss. Tourist trails startin here: Lysá Poľana (blue). Tourist trails: Lysá Poľana – Poľský hrebeň [Velická dolina] (green-blue, 5h15″/4h30″), Lysá Poľana – Prielom saddle [Veľká Studená dolina] (blue, 5h30″/5h00″), Poľský hrebeň [Velická dolina] – Prielom saddle [Veľká Studená dolina] (blue-green, 0h45″/1h00″), Poľský hrebeň [Velická dolina] – Východná Vysoká (yellow, 0h45″/0h30″).